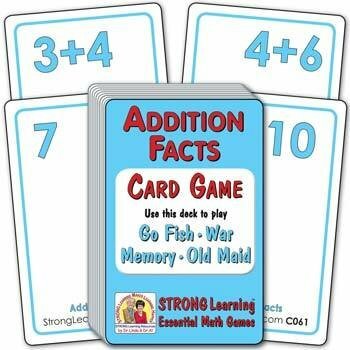 Players learn basic Addition Facts (using the numbers 1 through 10) and, that there are multiple ways to get the same sum, while playing popular card games. For this deck, matches are cards that represent the same value. One card shows a number; matching cards show two numbers that add to be that number.